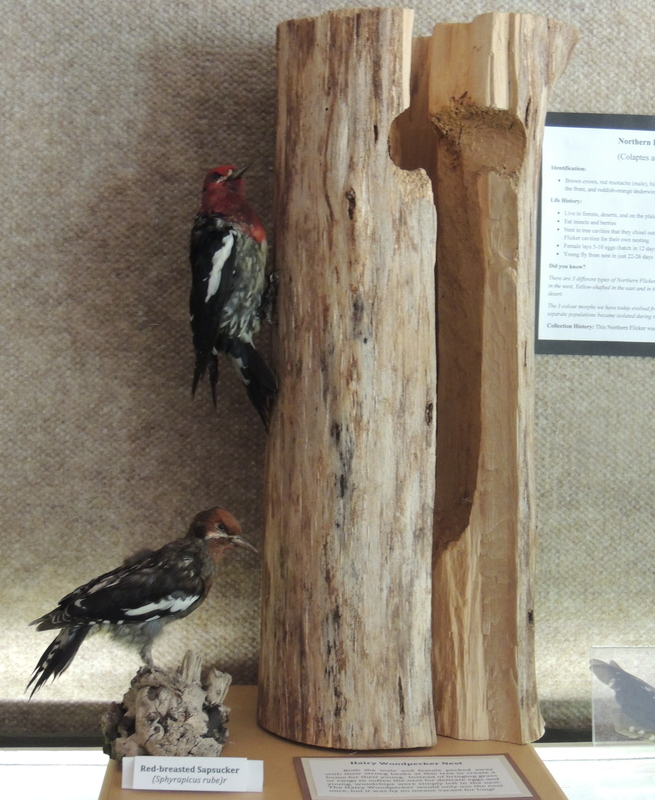 The woodpecker display at the natural history centre includes two red-breasted sapsuckers, a Northern flicker, and a hairy woodpecker nest. Take a stroll through the woods on Hornby and there’s a good chance you will come across a hairy woodpecker, the most familiar and widespread woodpecker in North America, or hear their rhythmic drumming in the trees. 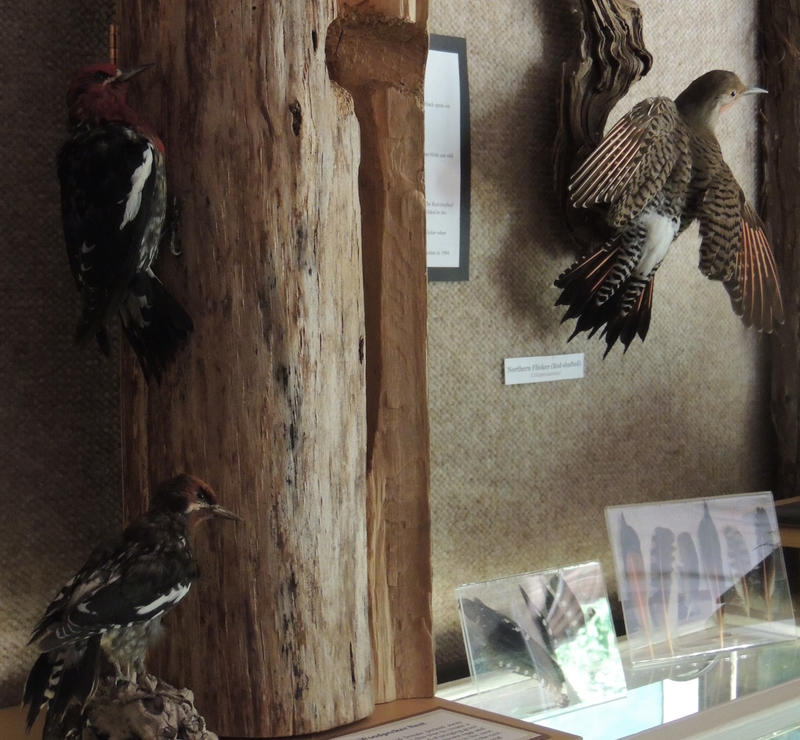 Our featured treasure for August is a hairy woodpecker nest. This nest is located in the bird display at the Natural History Centre. 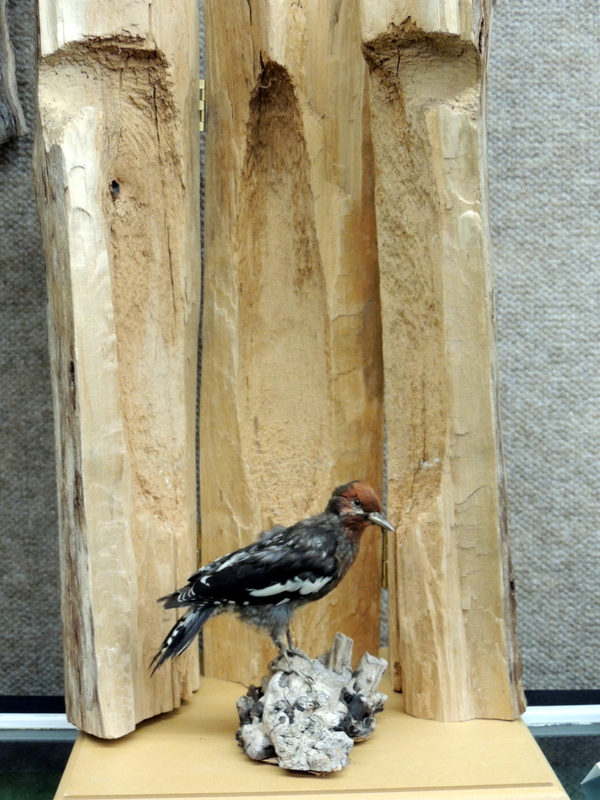 Hairy woodpeckers prefer to nest in deciduous trees by excavating cavities. Both the male and female pecked away with their strong beaks at this tree to create a home for their young. Inside the hairy woodpecker nest on which hinges have been installed. Instead of bringing grass or twigs to soften the nest for three-six delicate eggs and young, woodchips were simply left in the nest. The hairy woodpecker would only use the nest once, but it was by no means vacant for long! 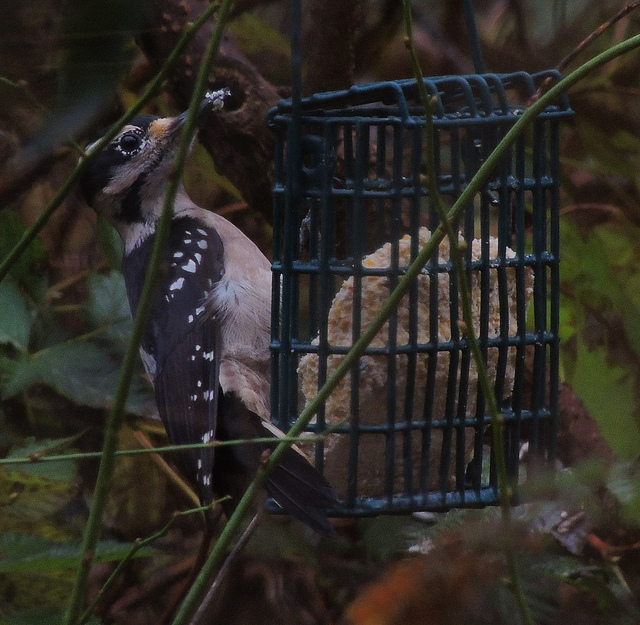 A Female Hairy Woodpecker on Hornby Island. Photo by Barb Biagi.